Snowy romps and rainy day walks usually mean messy paw prints on the floor. Use Tiger Towel® paper towel to help keep things clean. Before you unleash your furry friend inside, wipe them down with Tiger Towel®. Use a wet Full Sheet of Tiger Towel® or a spray bottle filled with water if the mud is really caked on. Next use a Full Sheet of Tiger Towel® to absorb any remaining moisture. Bath towels can be bulky and hold on to dirt and smells until laundry day. 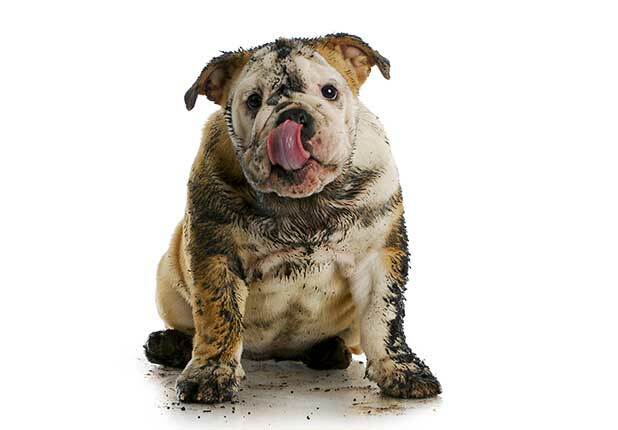 ROYALE® Tiger Towel® paper towel can easily maneuver around paws and their small surrounding spaces to grab more dirt and because they are strong and absorbent, Tiger Towel® can stand up to tough messes like this one. 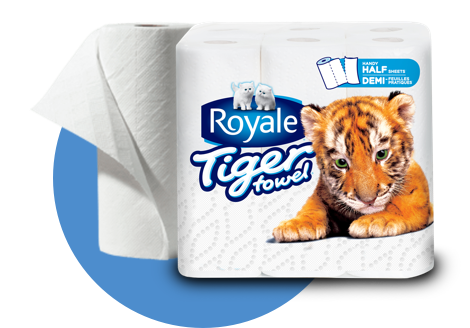 Keep a supply of Tiger Towel® paper towel by the door, along with a spray bottle of clean water, so they are at the ready the minute you come in.